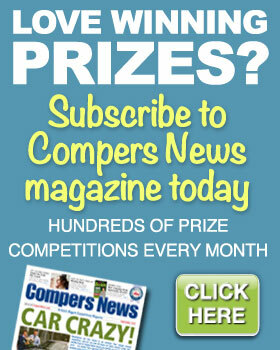 The Comping Crusader service is only available Compers News subscribers with an active and on-going subscription. I (The Comping Crusader) will respond and assist to as many queries received as possible, but I cannot guarantee personal replies due to the quantity of correspondence I regularly receive. Understand and accept that my advice and support is given on a goodwill basis. I will endeavour to do my best – but I can make no guarantees regarding the outcome of any case. Accept that, by asking for my help, I might use your case as a subject in my monthly Comping Crusader column, on my Blog or for other promotional purposes (although I can give you my assurances that your name will never be included). It is important to note, that although I am a seasoned comper, with many years comping experience, I do not have any legal background. I am here to provide advice and support based on my years as a comping enthusiast. If your case is more complex, it might be in your interests to get professional legal advice.